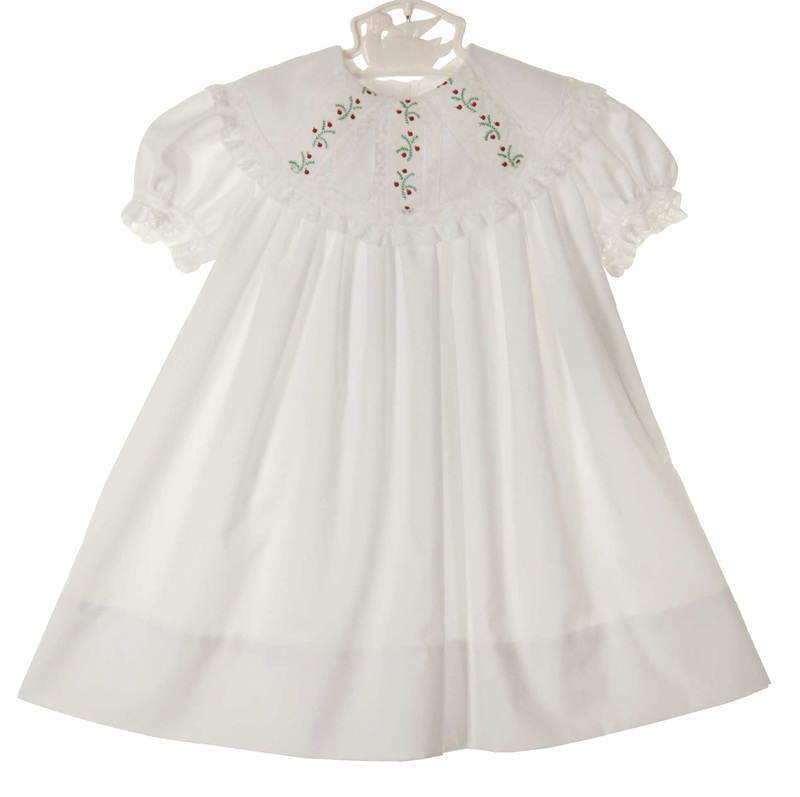 This gorgeous white cotton blend float dress is made by Peppermint Pony, a leading designer of beautifully detailed special occasion children's clothing. It features a gathered skirt falling from a high yoke and short puffed sleeves finished with lace ruffles. 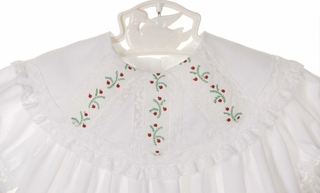 The lace trimmed portrait collar has red and green embroidery between rows of lace insertion. The dress has a back buttoned closure. 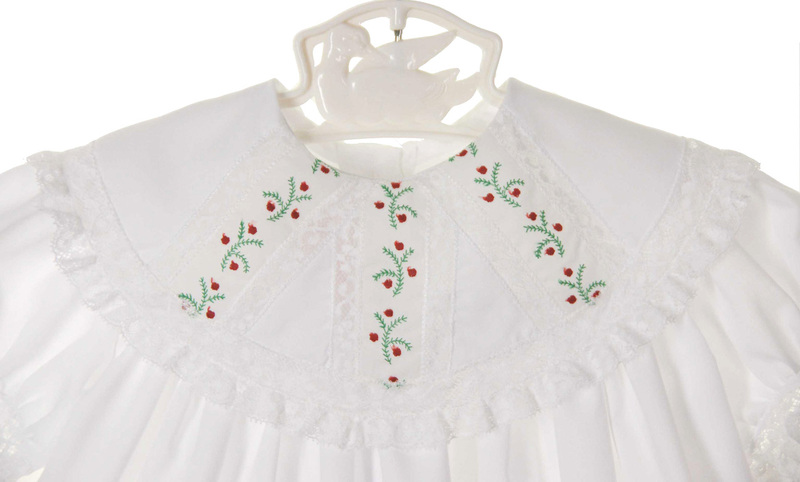 What a beautiful holiday portrait dress for your baby, toddler, or little girl! Matching boys shorts set is available. This beautiful dress is also available in all white. See below.